Since I first began working with associations and nonprofits back in 2006 until today, I’ve learned quite a bit about this market. One thing that has really stood out is that these folks move around a lot. Whether hosting a conference, attending a conference, racking up CAE hours at a class, or spending countless hours at the capital during the legislative session, association and NPO people are people on the go. All this coming and going means accessibility to vital information is crucial. There are few things worse than being away from the office, needing to get your hands on a critical document, and you can’t do it. And whether you realize it or not, you’re stuck because of three factors that are constantly warring for supremacy in the lives of computer users on the go; security, accessibility and mobility. And that’s where the Yin and Yang principle of information access comes into play. Yin and Yang are loosely defined as the continuing tension and balance between inseparable and interdependent forces. As one force increases, the other decreases. This back and forth continues until balance between the forces is restored. This interdependence and balance are symbolized by the Taijitu illustrated here. 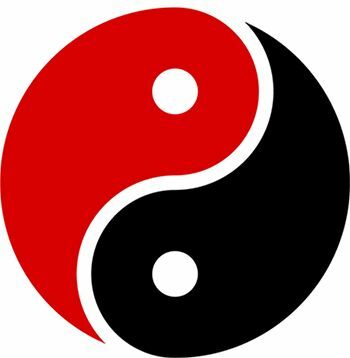 How does Yin and Yang relate to security, accessibility and mobility? Traditionally, when emphasis was placed on one of these factors, it was at the expense of the others. Choosing one meant, to a great extent, sacrificing the others. Here's why. Back in the old mainframe days, information was relatively secure, locked away in a giant, air-conditioned room in the basement of an office building. There was no Internet access to worry about, and “hackers” really had to know their stuff to get to the information held in these dinosaur systems. And there weren’t that many hackers with that level of expertise. But security came at a price. Valuable information was tied down to the data center and could only be accessed in strictly prescribed ways as ordained by the lab-coated, "high-priests of data processing” in the computer room. Security prevailed at the expense of mobility and accessibility. Yin and Yang in action. With the advent of mobile computers, the need to access information on the go became a big deal. So, information migrated out of the central data center and onto laptops and later to tablets. Now mobility was the big dog and (like it or not) security the wagging tail. Who’s keeping up with all this information running around out in the wild? Maybe somebody? Maybe nobody? Kind of terrifying when you think about it. But that if you wanted to be mobile, that was the price you paid. But what about accessibility? With critical information now residing on mobile devices, how would everyone share it? If a document's on my laptop, how do you access it from your desktop? Thus, was born corporate databases. And the information migrated once again. This time back to centralized servers where it could be more effectively guarded. If this sounds a lot like mainframes it's because it is. But with a lot more security issues. The result? Accessibility goes up. Security goes down. Yin. Yang. With this migration, accessibility took the upper hand. But security suffered. After all, these servers had to be connected to the Internet, with the associated dangers that entails. Mobility took a hit too. There’s got to be a connection to those servers. So, here we are. Security. Accessibility. Mobility. All fighting for primacy. We’re left to sort it all out and try to get our jobs done in the process. What are we supposed to do about it? That’s where 501cloud from The IT Guys comes in. 501cloud is the IT management platform we designed specifically to meet the needs of the mobile association and NPO world. Our goal was to create an IT platform that would bring balance between the seemingly irreconcilable forces of security, accessibility, and mobility. To that end, we assembled a total end-to-end system consisting of the latest in mobile devices, integrated software, information handling protocols, and cloud-based information storage. How does 501cloud relate to the Yin and Yang of secure, yet accessible, and mobile information? By outsourcing cloud services to corporations that specialize in secure cloud-based information storage and retrieval, we’ve built on the shoulders of information storage giants. 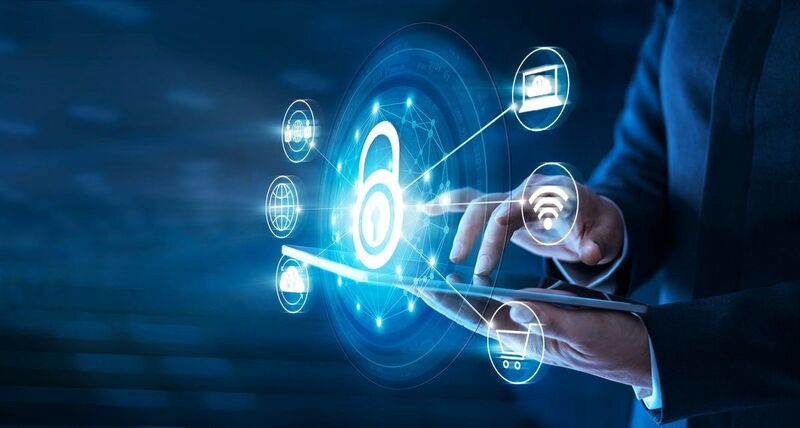 Companies with far more resources in the form or people, technology and money than any association or NPO could ever bring to bear to ensure information security. Information is secure. Access is controlled by interlocking sets of management-defined permissions. And a complete audit trail is kept of who did what to which documents. Users of our platform can access their information from anywhere on any device. Desktops, laptops, tablets, phones. All critical information is now available whenever and wherever it’s needed. By anyone authorized to access it. And the information is totally secure. Because the information resides in the Cloud and can be accessed by a host of mobile devices, “the office” is wherever you are, whenever you are. Open a document on your tablet. Then edit it on your phone. Share it from your desktop. 501cloud is information-centric, not location-centric. Think about that! With 501cloud, the Yin and Yang of secure, accessible, and mobile information is insured. Everything works. Anywhere. Any time. Any way.